Motasem Ahmed Dalloul is a staff writer at the Middle East Monitor. He is a specialist in Middle East affairs. The war between Hamas (which leads the Palestinian resistance) and Israel is now also being fought online. Israel’s recently failed attack on Gaza was an important victory for Hamas. “Palestinians everywhere have provided very valuable and important information which serves the resistance regarding the consequences of the Operation Sword Edge,” Abu-Obeida, the spokesman of the Al Qassam Brigades – the military wing of the Palestinian resistance movement Hamas – said on last week. He refers to the failed Israeli attempt to carry out a secret operation against the Palestinian resistance somewhere in the Gaza Strip on November 11. 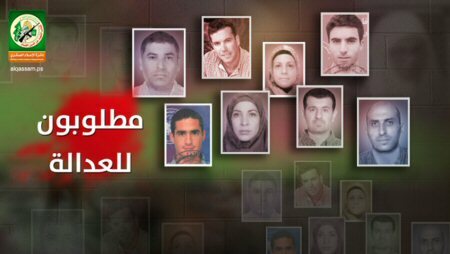 This announcement by Abu-Obeida came one week after pictures were published of the members of the secret Israeli commando unit, which was involved in the failed operation in Gaza, including pictures of the Palestinian collaborators who helped them. Israel was stunned by the success of Al Qassam Brigades in tracing the members of the secret Israeli unit, the Israeli Military Censor issued a statement warning both the Israelis and the Palestinians of trusting Al Qassam Brigades and of circulating the pictures on social media. “We ask you to avoid circulating the pictures and any notable information on social media, including WhatsApp or any other medium. You must act responsibly,” the statement said. Following this statement, the Israeli TV Channel 14 deleted reports and news stories from its website, however, it included only blurred pictures. The Israeli TV Channel 13 did not report or publish the pictures because, it said, this might harm the people involved in the failed operation and might harm the national security of Israel. Meanwhile, the Israeli news website 0404 said that Hamas’ military wing had moved the battle with the Israeli forces to the psychological field. Maybe the danger of publishing the pictures would hurt the corporeal spirit for the Israeli soldiers, who are tasked to carry out daily secret operations in Gaza. Barak Ravid, the diplomatic correspondent for the leading Israeli newspaper Haaretz, reported the Israeli Housing Minister Yoav Galant saying that the Israeli army carries out almost daily operations in Gaza similar to the failed one. The Israeli occupying army worked hard to undermine the information battle initiated by Al Qassam Brigades but failed. Ronen Bergman, the Israeli investigative journalist and author who is a senior political and military analyst for the Israeli newspaper Yedioth Ahronoth, said the military censor failed due to shock and lack of expertise in this field. This came as a shock because as Israeli military reporters and analysts and former Israeli commanders told Israeli TV Channel 2, the Israeli forces tasked to carry out such operations are trained to succeed 100 percent. Disclaimer: The views expressed in this article are the author’s own and do not necessarily reflect those of the affiliate.